When it comes to foreign travel three men have changed my life: Bill Bryson, Tim Berners-Lee and Michael O’Leary. When I was a boy in the 1950s and 1960s family holidays came once a year and were rotated tri-annually between a caravan in Norfolk, a caravan in Cornwall and a caravan in Wales. I’m not being ungrateful because these holidays were great fun and in those days it was all that my parents could afford. To be perfectly honest the very idea of going to Europe was faintly absurd, I knew of people who had been to France or Spain of course (or said that they had) but I always regarded them as slightly eccentric and wondered if they were telling the whole truth! As for going further than Europe I might as well have made plans to go to the moon! Despite these severe limitations on travel opportunities I developed a desire to see interesting places after visiting them through the stories that my Dad used to tell me. He was a well read and an educated man who passed on to me his love of history and geography. The family house was never short of books and encyclopaedias and he always had an abundance of time to enjoy them and share their stories with me. Through his inspiration I learnt about Paris, Rome, Athens and Madrid and travellers like Marco Polo and Captain Cook and I vowed that one day I would see these places for myself. As I grew older I became even more aware of the wider world and in my teenage years started to think ambitiously about overseas travel, rather like George Bailey in ‘A Wonderful Life’, and I promised myself that one-day I would travel. Really travel. Since then I have been here and there but I hadn’t really travelled until those three men changed my life. Bill Bryson is my favourite author (not counting people like Shakespeare of course, and I am sure that Bill wouldn’t mind that), because his books make me laugh and he has put fun into travel and reawakened for me the teenage dreams that I used to have of endless globe trotting to far off interesting places. His books made me want to be an independent traveller, to make my own arrangements and to discover the places that I had always wanted to see but was never quite sure how to go about it. And then I discovered the Internet and the World Wide Web and this opened up vast new horizons for me and I thank Tim Berners-Lee for that. It is quite likely that I will be technically challenged on this point so just to be clear the Internet and the World Wide Web are not the same thing: the Internet is a collection of interconnected computer networks and the Web is a collection of interconnected documents and other resources, linked by hyperlinks and URLs. Anyway the technical details do not really matter, what it means to me is access to information and unlimited travel opportunities. In the 1970s and the 1980s for most people it was only really possible to travel if you used the services of a High Street Travel Agent because only they had the necessary network of connections to the big holiday companies and overseas hotels. And then the Web came along and opened up vast new horizons. Suddenly it was possible to delve into previously unknown dimensions and start to think about the unthinkable. Arranging your own overseas holidays directly and bypassing the travel agents and their 10% commission (possibly more, I don’t know). That was all well and good but how was one to get to these new locations and the opportunities that were opening up? The answer came thanks to Michael O’Leary and Ryanair. Low cost air travel! That was what I was waiting for and thanks to St Michael that is what now makes European travel available to us all. I like the cheap flights and have set out to take advantage of them for as long as they are available and see as much of Europe as I possibly can. What follows is a journal of my mid-life travels made possible by these three men (four if you count my father, which I do of course). “Twenty years from now you will be more disappointed by the things you didn’t do than by the ones you did. So throw off the bowlines, Sail away from the safe harbor. Catch the trade winds in your sails. Explore. Dream. Discover.” Attributed to Mark Twain. Thanks for your comment on my blog – it’s intriguing to think that we were both in Ávila around the same time. I have just been reading up on some of your previous entries and they are a valuable resource for anyone wanting to do a Grand Tour of Europe! I’ve been thinking of going to Morocco at some point so reading your posts has been very helpful. Greece is another country on my bucket list and I would love to explore the Dodecanese, particularly Rhodes and Patmos. A country with a rich history, great seafood and stunning landscapes is a must-see in my books. Thanks for the message, I enjoyed your blogs about Lisbon and I have resolved to go there. I have been to Porto and that was excellent so need to go further south. Morocco was good and if you go be sure to stay at the Riad Nafis because it is quite perfect. I try and visit Greece every year, this year I went to Rhodes but to be honest there are too many English tourists and cruise ships bursting with noisy day trippers for my liking so next year it is back to the little islands of the Cyclades where there are no airports and consequently less package tourists. Amorgos and Folegandros are my favourites. Enjoy your travelling, I like your style of writing and I shall follow your journeys with interest. Presumably, you father worked miracles.What a lovely approch ,explaining things. I,very much, enjoyed your writing style and the high level of your narration. Thank you for leaving a comment on my blog site. I appreciate it from someone with your widespread travel experience and passion for discovering new places! We share that passion, although mine is at the moment concentrated on Italy! Thanks for your comment in my blog! You have a great blog!! A bunch of experiences traveling around and putting up your views. I saw you’ve been in Spain quite a lot, not in my hometown though. I would strongly recommend you to visit Lleida and the Pyrenees in the region. From now on, I will follow your posts! I have been to Barcelona and Girona but to complete my Spain travels I need to visit Aragon and the other towns of Catalonia. Thanks for reminding me. Hi Andrew. Thanks for the comment re my recent Seville review. Your blog is excellent. I fully agree with your notes on Ryanair – cheap, cheerful and a very good way to get to so much of Europe! I have a weird obsession with RyanAir and Easyjet websites. Great blog, will stay in the loop. Andre ~ Thank you for stopping by my site and leaving a comment on my Dubrovnik post! It was refreshing to hear from someone with your widespread travel experience! I share your passion for discovering new places, and although my passions are currently only explored as “daydreams” – your story has inspired me to continue to pursue my travel dreams! I will continue to follow you…thank you for sharing all your insights!!! I came across your blog when I googled “jimena,’ the wife of El Cid. Love your information! I can’t highly enough recommend that you walk the Camino de Santiago de Compostela in northern Spain, that famous 500-mile ancient pilgrimage that’s been walked by saints and sinners alike for more than a thousand years. You’d love it, I think. I’m working on a middle-years children’s book about the Camino and needed info about El Cid and Jimena, who are buried in Burgos, an art-filled city on the Camino. In any case, your blog is a traveler’s treasure. Huge thanks. Andrew, thanks for your comment on my blog. I’m glad to discover yours as well. We are spending this summer in Italy, which has re-awakened and even heightened the travel “bug” that I have been mostly suppressing since we had children. I’ve been toying with the idea of spending a similar summer – next time in Spain – in a couple of years, so I will read your posts with interest. Nice to meet you! Great, interesting blog. I will be keeping up with it. Andrew, I have enjoyed viewing your blog. In particular, your posts on Spain. I’ve only done one trip there (to northern Spain), but hope to be back! Andrew, I seemed to have missed the reply to this thread until now. If I can attempt my best shot at shifting the balance, I would strongly discourage anyone from attending and lining the pockets of those who profit from this industry. In hindsight, I wish I wouldn’t have gone… The Spanish need to find cruelty-free ways to promote their beautiful and rich culture. Great blog! I will have to check out some of those authors you mentioned. My boyfriend and I are planning a year long trip around Europe and Asia for sometime late next year. It’s very interesting to read about all your travels! Andrew since I met you via blogs, I discover a treasure even for my own country, some locations I did not have the chance to see yet. I’ve just spent a bit of time going through your blog and checking out your posts (particularly Greece) – what a wonderful amount of travel you’ve been lucky enough to experience so far! I noticed on your travel map you’ve also been to Croatia and Bosnia, two of my favourite places from my Europe trip last year so I’ll be back to read those entries later. I’m also interested to look at your Slovenia posts as I’m thinking of going there next year. Also, like you, Russia is also on my list! Thanks so much for visiting my new blog and even subscribing! I need to post more regularly. I’ve got a bit of a backlog of things to get through from last year’s trip but I’ll slowly work through it all. It certainly won’t be as in depth as your blog but many thanks for your interest! I love Bill Bryson!! And your posts about Spain!! Thanks, I enjoyed reading your blog! I can really relate to what you say in this post – for me all holidays as a small child were to the same caravan site in Somerset then I got taken ‘abroad’ at the ages of 10 and 14 to Spain – all I saw was English hotel, English food and a pool but in my 20s I discovered the wide, wide world out there. Have visited lots of Spain as my Mum now lives there and we have a small house but am now branching out to other places – my ‘bucket list’ includes every country that ends in ‘stan’. Nice to hear from someone with the same memories. Countries ending in stan is a good idea but there are only 8 so I recommend counties ending in ia – there are loads of them! Oh I know but they are the more unusual places to visit so thought I would like to try some of them! We are off to Italy again next year to lake Como this time – does that count as an ‘ia’ one if you call it Italia? I love how your blog is set up! Nice read. I need to work on my design. Thanks for visiting my blog! I should thanks Cebu Pacific Air in the Philippines then! The best low cost airline here. Will be reading more of your post Andrew! Thanks for sharing. Thanks for looking and commenting on my blog. I have travelled and worked in some extremely interesting places during my working life. It is only recently that I have started to post my photos from recent holidays and regret not having taken more photos from earlier times. Places including Libya, South Africa, Germany, Bahrein, Oman, Singapore, Thailand and others. If only didital cameras and home computers had been around in those days. Thanks again and good luck on your travels. thanks for visiting my blog and following it. I am enjoying reading all about your travels. I can only hope to one day have a full card such as yours. Great travel blog you have here Andrew. Your blog is one of my favorites, and I’ve nominated your for the Kreativ Blogger Award to show my support. Details here: http://becomingmadame.wordpress.com/appreciation/. Take care! Thans for your encouraging words & support! Wonderful blog with so much to see and read! Thanks for reading and commenting – I appreciate it! Thanks for sharing your comments and the places you´ve visited. I guess I´m the first visitor from Uruguay. Best regards from down south. Thanks for the comment. My flag counter says that 77 people from Uruguay have visited the blog! Great! Seventy-five intelligent people to have visited this blog. Seventy-five intelligent people to have visited this blog. ABSOLUTELY BEAUTIFUL BLOG!! Thank you so much for stopping by and commenting on my post this morning! Hello, Andrew. Thanks for dropping by my blog. I have forgotten “The Year of the Cat.” I have a friend who loved that song. She was living in London when the song first came out. I listened to Albatross again. Yes, it’s smooth! Andrew, it’s me again. I read through your blog. What great travels! I would love to visit Marrakech and Moscow one day. My husband and I are new empty-nesters. So we now have a lot more time in our hands. We’ve been traveling more and more. I wanted to ask you why you have not been to Turkey at all. We visited western Turkey in 2010. We were part of a private tour. There were only 8 of us. We went from Istsnbul to Ankara, then Cappadocia, Ephesus, Pamukkale, to name a few. We went in a circle, ending up back in Istanbul. The country is beautiful! A lot of their historical treasures have been well preserved, unlike other countries where they were either destroyed or taken away to other countries. Thanks for reading th blog. Turkey is definately on the ‘must visit’ list especially now after your recommendation. This year we fly to Kos so plan to spend a week in Turkey but I would really like to take the sort of tour that you did – it is such a big country! Our contact was a gentleman named Tamer Teoman. Although his company has ready-made tours specializing in small groups, we researched what we wanted to see and do so ours was customized. He does have a New York contact info now. But I usually email him at teomantamer@hotmail.com. Tamer has a PhD in Ancient Civ. or something like that. Extremely knowledgeable and so gracious a host of his country. We thoroughly enjoyed our exploration with him. I’m a Bryson fan too, Andrew. I like the way keeps setting himself new writing challenges. To go from extremely successful travel writer to tackling A Short History of Nearly Everything was a brave step, but he pulled it off. I also enjoyed his short book on Shakespeare and his latest about the development of the home. Even if you’ve already been given it, it’s well-deserved! I look forward to following your travels and blogs. I would also like to invite you to join us at http://www.homeexchange50plus.com if swapping homes for holidays is of interest. I’m so glad you clicked the like on my blog or I wouldn’t have found your marvelous blog! I love your “have bag will travel” – that describes me. We’ve lived in 3 countries but I haven’t seen nearly as much of Europe as you. I’d love to visit Budapest and Prague and Turkey and Russia… Actually I don’t think there’s any place I dont want to visit. What about you? My travel objective is to visit every country in Europe. This year I will add Albania and Turkey. High on my list is Cuba & hopefully in my itinerary for 2013. Thanks for the comment! Hi Andrew- thanks for commenting on my blog. It led me to yours and I’m now following it and hope to learn a lot- I’ve already got your suggestions for Spain- thanks again! Bon voyage! Hello Andrew – stopped by for a short thanks – an hour later still tagging along as you travel Europe! I’m not sure what drew you to my Memere’s Toaster Oven…but I’m thankful to that ‘old as dirt’ relic for leading me here. As one who dreams the dreams, you’ve given me new imaginings for them. I look forward to following your adventures. You are welcome and thanks for the follow. I’m tickled. Even though I’ve just found your site, I think it’s a winner and very well done! Thanks for stopping by Andrew and liking Johnny Walker! Appreciate it. Good luck with those plans! Thanks for stopping by again. I’m glad you enjoyed Cleo…she is one of my favorite subjects to try to capture with my constant companion’s eyes! Andrew, your blog is so fun and full of adventure. I’ve nominated you for The Versatile Blogger Award. Hi Andrew, thank you for visiting my blog and liking my post too! I am flattered given the great blog you have! I hope you will come back for more. I will definitely be back on your pages! Glad to see you back…and hope the Ant put a smile on your face. If only I were able to take the trips you take! In the meantime, I’m glad my little trip to OZ pleased…one day perhaps I can go on a REAL adventure! Thanks for dropping in. Your blog looks wonderful and very informative. It seems that I have recently been bitten by the travel bug as well, and already looking forward to wherever my next trip takes me. Thanks for visiting my blog! Hi Andrew! Nice to meet you and thanks for the follow. I also love Bill Bryson, and his Adventures of the Thunderbolt Kid is my favorite of his works. Thanks & Hi. My favourite is his History of Everything and his latest about the Home. We seem to have adopted him now and he seems quite British! Yes, you have claim to him! When I was in Bath touring the Roman Baths (shocking, I know), they had a Bryson audio-tour option for visitors. Haven’t read History, but I did enjoy At Home. Hi Andrew, I’ve just been introduced to your blog by restlessjo, who kindly nominated both of us for Picture the World! I’m so excited to be introduced to your blog because I’ve bought my ticket for Greece from August 31 – September 13 and you have great insight into Greece. I can’t wait to delve in further! I might add that Bill Bryson is one of my favorite authors too. I loved Notes from a Small Island and when I went to England in 1999, I used his idea of following walking paths through the Cotswolds and the Lake District using the famous ordnance maps! He is a hilarious writer. Another writer you might love is Alain de Botton who wrote the amazing The Art of Travel, one of my favorite books of all time. Another yet is Pico Iyer, who inspired me to visit Kyoto, Japan in his book The Lady and the Monk. Thanks for reading and the comment. You are so right about that coach so gave it a miss as soon as we could. I’m certain that you will adore Greece – where will you visit? I’m planning to visit Athens briefly, then on to the Cyclades, including at least Santorini and possibly your recommendations of Amorgos and Folegandros, Crete and Meteora. I only have two weeks, which I fear is not nearly enough. But then it never is, is it? That’s ambitious. Amorgos is difficult to get to if you try & fit it in with too many other islands because the ferry schedules don’t work that way. My recommendation would be to take the Cyclades West line through Serifos, Sifnos, Milos, Folegandros, Sikinos and then Santorini. They are all well worth visiting but you won’t be able to do them all in a fortnight if you aim to get to Crete. My advice – take longer! Ahhh, how I wish taking longer was an option. Sadly I have a job I have to return to and cannot take longer… But thank you so much for your advice, especially about the Cyclades West line. Of the islands you list, since I won’t have time to do them all, which ones do you most recommend? Is Meteora worth the visit? It looks so interesting…. Is Crete worthwhile? Shame about the job thing! Crete is a big island so needs time and I can’t comment on Meteora, it’s a bit out of the way! If I was going to start in Athens I would do the Cyclades West and stop in Serifos, Milos, Folegandros and Santorini and then return via Naxos. Making recommendations is a bit risky of course because different people like different things! The travel guide ‘Greek Island Hopping’ by Frewin Poffley is a good place to go for more help and advice. hi Andrew, Thanks for deciding to follow my blog…I sincerely hope you enjoy the trip. Hi Andrew, great blog. Bill Bryson was chancellor of my university and did so much for the community in general, he’s a great guy, I love his books too. St. Michael indeed. Love your blog, Andrew. Came across your pictures. Want to check if Icould use couple of your pictures as background to a play performed by voluntary organization. I nominated you for the inspiring bloggers award! Hey again, I nominated you for another award. This time it’s the Liebster Blog Award. I’ve left 5 questions in my post for you to answer. Iv enjoyed reading your blog, this summer my partner and i went on a little greek island hopping trip to serifos, milos, santorini and crete. We loved Santorini and Milos and have booked to go back to santorini next august, we were looking for an island to go to first and couldnt decide where to go, some people had recommended naxos? I saw from your blog that you had one entry from there, would you recommend going there for a week? or is there another island you would recommend? Naxos is good, so is Paros and I would always find time for a few nights on Antiparos. However, if your schedule allows then I would recommend Amorgos. You’ve got a great blog here, Andrew! Andrew, it was very nice of you to buy my book for your granddaughters. I hope they (and you) enjoy it, and should we ever meet in person, I’d naturally be delighted to sign it for them. Hi Andrew, thanks for visiting my blog. Not much there on travel I’m afraid. Those are still dreams for my future. In five years, for our anniversary we plan to visit some old castles in England, Scotland and Ireland. Other than that, I would like to visit each of the 50 states here in the U.S. I will love to read about your travels and use them to dream with. Bon Voyage! That’s a nice ambition. I visited 10 US states in one visit but only because I landed briefly in Minnesota and went to 4 corners! So that’s cheating really! Thanks – I’ll have a go! What a lovely bio. Nice to meet you. Great photos too! Hey I just nominated you for two awards. In order to qualify you have to answer the questions that are in my post and nominate 10 others that you think deserve the awards. Congratulations!! Manboy. I wondered where the other one was! and liking some of my photos….i have just came back from a 3 month backpacking trip in Europe and reading some of your posts reminded me of a lot of wonderful places i visited….I would definitely will go back and this time i will put Greece on top of my priority….it was originally on my list this year but for some reasons opted not to go….i regretted it! enjoy your travels! I’m glad I found your blog – now I get to travel the world through my laptop – awesome! Hi – I’m glad to have found your blog. Some great stuff to read here, I’ll be following so I can keep up with your travels! Hi – it looks like I have to stroll around a bit here… Thank you for visiting my blog. When I saw Tower of Terror I thought you meant at MGM Studios. Didn’t know there was another one 🙂 It’s a Wonderful Life is my favorite movie and Bill Bryson’s A Walk in the Woods is one of my favorites. Love Spain. Three good choices there! Thanks for the comment! I have been following your blog for a couple of months now and I do love your travel adventures. Your photographs are a stunning, visual feast and your writing is compelling and intriguing. The necessary ingredients that marks a great travel writer! Maybe we’ll run into each other one day somewhere in this big, wide world…. Thanks for visiting our blog, and for the like on the post about Yangon. We spent nearly 3 weeks in Burma so several more posts to come on that country. I’ve been travelling around your blog and see you’ve recently been to Turkey – it’s in the probable grand scheme of things for us for next summer (Turkey and Greece and who knows where else in Eastern Europe). Looking forward to reading about your adventures there. Anyway – nice to find your blog. Hello Andrew…..I just found your blog! What a great title! My eyes perked up when I read you too are a Bill Bryson fan. He is wonderful. I will enjoy spending some time going through your blog. All the best! Hi, I just discovered your blog, I really like your “about” page! Although from a younger generation, I totally share the idea that travelling is much easier now than it used to be. Can’t wait to read more about your adventures! Your adventures are so nice and interesting to read! Please check out my blog and let’s maybe follow each other! Lovely presentation of you. I like the way you present things and all your writings. 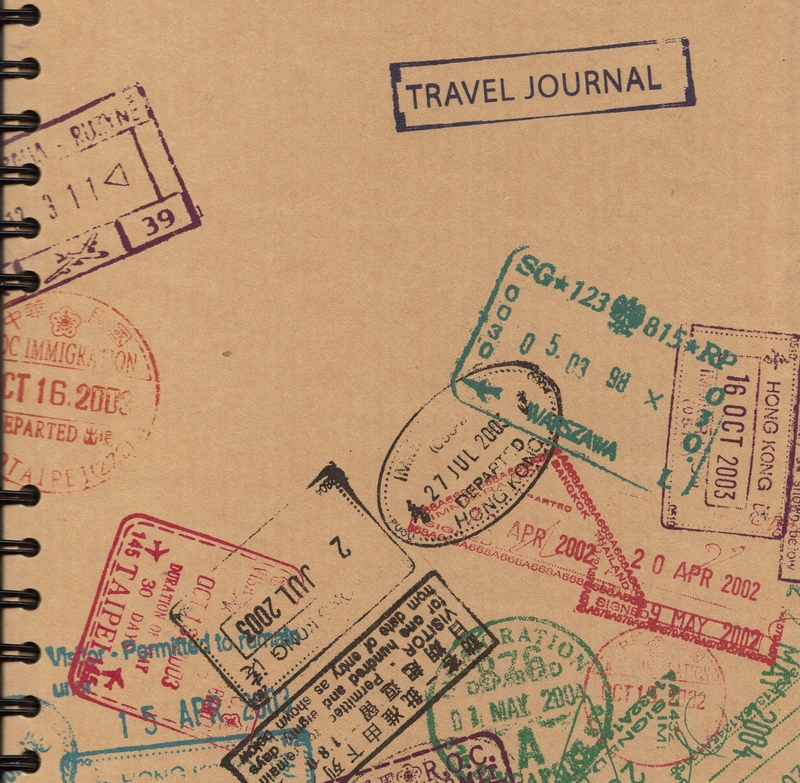 Here I might find a guide for some of the places I have in my notebook…Happy travels! I love reading about those who have inspired you, Andrew – mine was Dame Freya Stark, an incredibly outrageous solo woman adventurer of the middle east at a time when women really stayed at home and ‘received’ visitors (my daughter’s middle name is after her); and Eric Newby got me onto train journeys….. Happy Travels! Two very good selections. I know of Newby but not of Stark but now I will need to find out! Thanks. Wonderful blog you have! Sidenote – Bill Bryson is my hero! Thanks very much – I appreciate that! My wonderful dad left school at 13 years old and worked in the shipyards of Northern England. He read avidly and told me about astronomy and the beauty of the world and all that he had discovered in books. He served in the navy during the war but didn’t see much. Then he studied and worked and eventually built up his own steel company. He worked and saved and planned to travel and see the world when he retired. He died 3 months before that magic date so never got to fulfil his life’s ambition. I taught my children to go and see the world while they were young and healthy which they do. I also travelled a great deal while I could. I am so glad that you are having these amazing experiences now. Enjoy every minute and good luck! Dads are wonderful aren’t they? I try my best to live up to the memory of mine. Thanks – I appreciate that! Found your blog “New Light Through Old Windows” whilst Googling old pictures of Hillmorton. Have just spent at least 5 hours reading through it. Kept stopping every so often to stare out of the window and remember times gone past.Been a wonderful Sunday Afternoon. My parents bought your parents house in “The Kent” Hillmorton. 1970 i think give or take a year. Your brother Richard is my age and remember him from Dunsmore. If i’d replaced your name with mine it’s as if i was reading my own history. One difference being the old car off the embankment in Sandy Lane was a Sherman not a Churchill tank…lol. I had that big bedroom upstairs all to myself…Brilliant..Became very good at using the drain pipe and the small ledge above the toilet window for climbing back in after late nights out. All the play areas we used to play in have been built over. The pit at the back is now a small Cul de Sac of bungalows. The radio masts have been dismantled and the land is to be built on. The Methodist Chapel ..(the Sunday Schools were good fun (You forgot they gave out chocolate Easter Eggs on Easter Sunday) is currently being converted into flats. One question how did you remember the teachers names at School Street. Could only remember Mr Hicks….On reading Mrs Gamble a cold shiver came across me…So many memories brought back this afternoon..Thank you very much……. PS: Troulos Bay in Skiathos is lovely should you want the read a book on a lovely beach….Take Care on your travels and i’d give Crimea a miss at least for the near future……All the best…..
your comment has acted as a memory trigger. One story that you will appreciate. I think we left the Kent sometime in the late 60’s. For some reason I think I was in the second year at Dunsmore but I can’t be absolutely sure. As a young teenager I had painstakingly assembled a scrap book of pin ups and glamour pictures and when it came time to move I was in a panic that it would be discovered. After considering various disposal options I came up with a brilliant solution. I went into the roof space at the back of the bedroom and pushed it as far as I could into the middle of the space between the floorboards and the ceiling where I was certain that it would never be discovered. I have often wondered if anyone ever did or if it is still there collecting dust as though locked away in a time capsule. That procedure of yours for getting in and out of the window sounds rather dangerous to me! Your parents must have had a new window installed because I don’t think it even opened when we lived there. LOL…your scrap book was never found at least by any of our family. the window was replaced with one of those brown upvc ones. The lady who now owns the property had the whole of the upstairs renovated so there is a good chance that the scrap book brought a smile to some workmans face.Thinking back on the dates it was more likely to have been 1968 or 1969 when we moved in. That roof space was an excellent place to hide things though. Used to scare me a bit when we first moved in. Always thought something was lurking in there waiting to come out at night. I just discovered your blog, and I look forward to reading about your travel adventures! So glad I found your blog here (or you found mine, and then vice versa). Your bio is wonderful, thoughtful, tender, and inspiring. I don’t have the travel bug, although I’ve been fortunate to see many places in the world (just not a fan of flight), BUT I’m going to read your blog posts and hope that passion will hit me just as hard as it’s hit you. My wife and I love to travel but haven’t quite got around to doing it as much as we’d like to. Her profession as a doctor puts some limits on planning a break. Still we’ve managed a few that we’d planned (like Turkey) and some that sadly may not happen in a while (like Egypt). We’re looking forward to our tour of the Laddakh – the land of high passes – region in the northern part of our country later this month. I stumbled on to your blog through Rick’s Surroundedbyimbeciles blog and I’m glad that happened. I’m going to enjoy my visits here. Thanks for dropping by. Laddakh looks interesting. Yes it does! We’ll be going as part of a ‘photography’ tour group. While the photo opportunities I’m sure abound, my wife and I are just looking forward to soaking in a landscape and environment we’ve never come across thus far. Hi Andrew.. Thank you so much for stopping by my blog, means a lot. Bill Bryson is my favorite author too and now after reading his books when I go and visit a place be it dover cliffs or highlands or london, I know why he fell in love with this small Island. I feel the same too. I hope you visit back my blog. I’ll put you on my follow list! Thank you Andrew. That is very nice if you. Hi Andrew, thank you for stopping by my blog. I’m enjoying reading yours and look forward to read more! Have a wonderful blessed day. Hello Andrew, thanks for visiting my blog. I’m not travelling any more but I’m looking forward to doing virtual travelling by following your blog. I’m so glad to have taken a peek at your blog. We have explored many of the same places, and I have enjoyed re experiencing them through your eyes pictures and well worded descriptions. I’m quite excited to find your blog! In particular, I am going to dive into your Tallinn posts as I am headed there in January, and I see you were there in wintertime also. In general, it looks like I’ll find a number of goodies around your site, so I’m excited to see where our travels have overlapped and where I can learn some new things! Thanks and welcome. I am sure that you will like Tallinn. Hi Andrew thanks for following my blog and I’m very glad to have connected with yours too! I love the Bill Bryson books too and his perspective on travel. Look forward to reading more about your travels, kind regards Rosemary (Le Chic En Rose)! “You see, Australia is an interesting place. It truly is. And that really is all I’m saying. Yes, I read it but it was quite some time ago now! Thanks for your visits. We have similar backgrounds. I began traveling for work in the late 1980’s through 2000. Since then I have been traveling on my own dime. The world is a beautiful place made up of wonderful people, geography, history, food, and culture. As I head toward retirement, I am more and more anxious to take more time to travel. Love your quote from George Baily!!! You have a great blog…. Nice to meet you Andrew! Thank you for your blog and experience! What’s interesting–and what’s further afield–all depends on where you start, I guess. I’m an American living and blogging in Cornwall, and it’s redefined my idea of normal. As living in any country you didn’t grow up in is likely to do. I count myself lucky. I am going to check out that blog now. Hello Andrew! I’ve decided to read and follow 10 interesting and new blogs a day every day of May 2015, and yours is today’s #4! Feel free to come visit me when you can at http://www.thatssojacob.wordpress.com, and follow if you like what you read. Happy new year and happy blogging! An excellent way to get more interaction. I have a great love of travel. There are so many places I would love to visit and I have family abroad in Malaysia and Australia that I would like to re-visit – one day…. Take all travel opportunities that come your way! Very interesting About-me-page. I enjoyed it very much. I always read people’s About-page and many times, there are interesting thing told as in Yours. It’s excellent and truly exciting that you’re able to live a dream that wasn’t even a dream, more of a far-fetched fantasy, in your youth. My hope is that one day soon, a lunar excursion wouldn’t be as outrageous as it sounds to many people now. Happy travels! Now that would be really something. Thanks for the comment! I guess most of us have some form of wanderlust? Hi Andrew > looks like we have a few things in common as we are both in ‘mid-life travels’ > thank goodness I left the UK when I did. My inspiration came from the Long Way Round by Ewan McGregor and Charlie Boorman. Like the fun way you write so looking forward to seeing your posts come up on my reader. Happy to follow and shall treat myself to a spin around your should I say hmmmmm comprehensive looking blog. Cheers! Thanks Andy. I must take a look at those books of yours. My main interest is travelling around Europe but one day I must go further! It’s so nice to meet you Mr.Andrew…this is truly inspirational and I’m eager to explore more! I do relate to the connection between books & travelling…..like my desire to visit Italy after immersing in the Dan Brown books! Thanks for dropping by. A good book can always provide travel inspiration! Ah ! Books and travel ! My first travel-lust inducing books were – brace yourself – Enid Blyton’s The Famous Five , because I wanted so much to visit Cornwall and find out if there really was a Kirrin Island or not 🙂 ; and then “Adventures” (it might have been called differently over there , those kids did travel …with a parrot and a monkey if I’m not mistaken ). Oh boy, I loved those ‘Famous Five’ books – I should have included it in my inspirations. Very interesting read and great introduction page! Always relish my visits here Andrew. Lots more to explore. Regards Thom. Twenty years from now you will be more disappointed by the things you didn’t do than by the ones you did. So throw off the bowlines, Sail away from the safe harbor. Catch the trade winds in your sails. Explore. Dream. Discover.” Attributed to Mark Twain. It is a good quote, that’s for sure! Thank you very much for visiting my blog and for the follow, Andrew. I appreciate and enjoy reading your comments on Simon’s blog (Quercuscommunity) and I have liked the posts I have read here very much. Thank you Clare, I appreciate that!